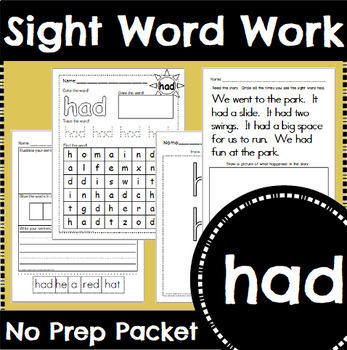 This packet contains seven no prep sight word activities. These sheets make great word work practice for centers. Each sheet provides an unique way to practice sight words. 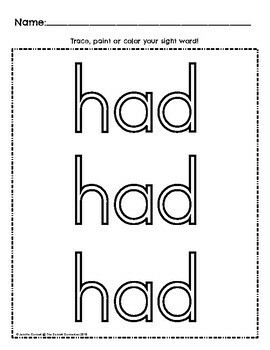 Page 2: Build a Sentence: Students will cut out the words and make a sentence using their sight word. They will then draw a picture of what the sentence is about. 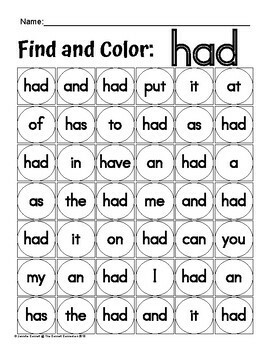 Page 3: Sight Word Practice Sheet: Students will color the sight word, trace the sight word, write the sight word and finally cut out the letters that spell the word and paste them in the correct boxes. Page 4: Sight Word Search: Students will color the sight word, draw the sight word, trace the sight word and finally find the sight word in the word search. Page 5: Sight Word Dab: Students will dab, color or cover the sight word. 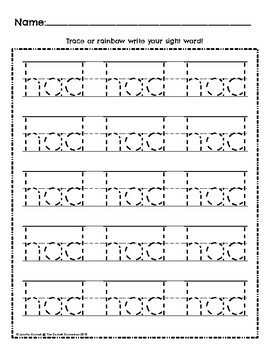 Page 6: Sight Word Tracing Page: Students can trace or rainbow write their sight word. Page 7: Sight Word Color Page: Students can color or paint their sight words. Page 8: Sight Word Reading Page: Students will read the story and then draw a picture to represent the story.